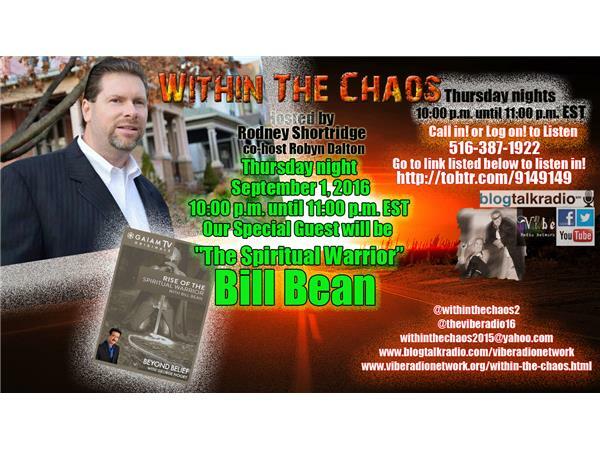 Bill Bean is a world renowned spiritual deliverance minister/exorcist, and is known as "The Spiritual Warrior". He's also an internationally known author, lecturer and paranormal/supernatural expert. Bean is currently being featured on the Lifetime Movie Network series, "I was Possessed", and has been featured in 4 episodes on the Discovery Channel & Destination America's "A Haunting" series. Bean also appeared in the 2010 SyFy movie "The Haunted Boy" and has appeared in many TV shows about the supernatural. Bill has given over 1500 media interviews and has performed hundreds of deliverance/exorcism's all over America.